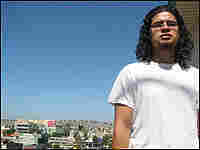 Youth Radio: Adjusting to Life After Deportation As part of a plea bargain, 23-year-old immigrant Jorge Nuñez took years off a sentence for armed robbery by agreeing to be deported after serving four years. In a first-person story for Youth Radio, Nuñez tells how he tries to acclimate to life in Mexico. As part of a plea bargain, 23-year-old immigrant Jorge Nuñez took years off a sentence for armed robbery by agreeing to be deported after serving four years. In a first-person story for Youth Radio, Nuñez tells how he tries to acclimate to life in Mexico.